Laser drilled diamonds have had dark inclusions removed by a microscopic laser to improve the appearance of clarity. These diamonds bear no fillings and require no special care. For the graceful woman, we recommend the Oval Cut Diamond. 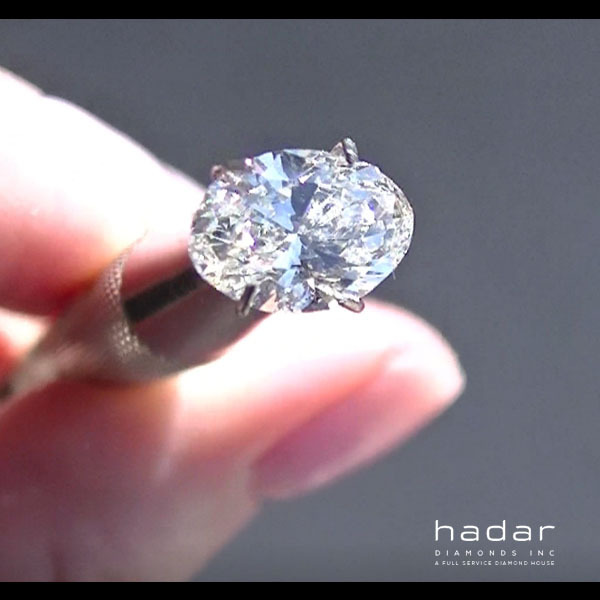 This diamond shape is similar to the traditional Round Brilliant Cut, except that it is slightly elongated. An Oval Cut is a desirable for a woman who wants the sparkle and class of a Round Brilliant Diamond, with a lower price tag. Like the Marquise Cut Diamond, the Oval Cut Diamond appears larger than its carat weight due to its elongated shape. Looks best on: Small hands or short fingers.